If you have been following this blog, you know that North Dakota will become a full-fledged member of the Big Sky Conference next season. However, they are playing some Big Sky games already in non-conference, and the results have been positive for them. They started by beating Idaho State at home 63-47, a game that they controlled. The Bengals are expected to be last in the Big Sky, but it had to be very positive for Brian Jones that they beat them so soundly. They followed that up with an 88-81 OT win over Montana, which was much more significant for the program. The Grizzlies are projected to be a top 2 team in the conference, so those are the types of games UND needs to win to be seen as a legitimate contender next season. 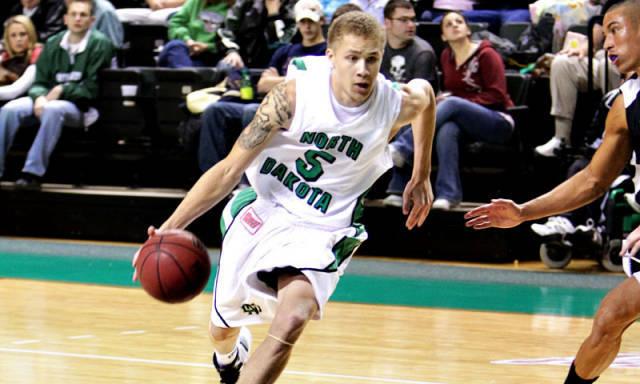 The Fighting Sioux have two games against Big Sky opponents remaining, as they travel to take on Idaho State on December 3rd, and then hit the road against Sacramento State on December 18th. UND did not get lucky in these wins (which you might think after seeing they lost to Western Illinois after the Montana game). They are a talented team that is still very young. Of their top seven, there is one senior, one junior, and five sophomores. I think they are one big man away from being a legitimate Big Sky contender over the next two seasons, but they certainly look like a top half of the conference team already. Big Sky, you have been warned.